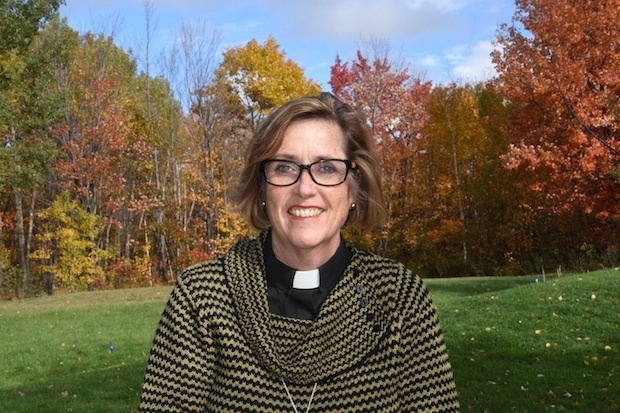 When the diocese of Algoma gathered for an electoral synod last week, Archdeacon Anne Germond’s name was not on the ballot; nor was she featured among the other official candidates for the position on the diocesan website. In fact, as synod began Germond, who on October 14 was elected 11th bishop of Algoma—the first woman in the diocese to hold that title—had not planned on standing for election. Though she had been approached to let her name stand, she had decided against it. Her husband, Colin, has been struggling with lymphoma for several years, and she wanted to spend as much time with her family as she could. Besides, she said, she was happy to continue serving the growing Anglican Church of the Ascension in New Sudbury, Ont. But her supporters had different plans. As the synod approached, they put the question to her slightly differently: if, as the diocesan canons allowed, she was nominated from the floor, would she allow the nomination to stand? As it turned out, she was. On the 6th ballot, she was elected with 70 out of 102 in the house of laity and 30 out of 44 in the house of clergy. When the results were announced, Germond said she felt “overwhelmed” and a little shocked that the synod had put so much trust in her, despite not having the usual opportunity to get to know her as a candidate. But this unusual election was in step with the rest of Germond’s journey to the episcopate, which began when she was a schoolgirl at the Roman Catholic Rosebank Convent in Johannesburg (now St. Theresa's School). She became an Anglican while still in high school, after having fallen in love with the Anglican liturgical tradition, and particularly Evensong, and following a move to Canada in 1986 with her husband, who was in the process of becoming an oncologist, Germond got involved at the Anglican Church of the Epiphany in Sudbury. Unlike many bishops, who come to their positions through traditional channels like academia, Germond’s knowledge of the church comes from the bottom up. During her years at Epiphany, she held just about every role imaginable, from Sunday school superintendent to parish council member to warden, and through it all began determining a call to ministry. But when Germond took up the incumbency at Ascension, she had not yet even been ordained to the priesthood—then-bishop Ron Ferris had offered her the position as a short-term lay incumbency while she finished her bachelor of theology studies at Thorneloe University, in Sudbury, Ont. Unlike many Anglican bishops, Ferris did not believe it to be absolutely essential for priests to hold an MDiv., and after she became a deacon in 2001 and then priest in 2002, the community asked her to stay on as rector. At the time, Germond recalls, Ascension was still “very much a neighbourhood church.” Multiple generations of the same family shared a single pew in the one room the church used to host both worship services and social events. In the 16 years since she took up the position, however, the church has grown in size and structure, with the addition of a parish hall, extensions to the chancel and the construction of a smaller chapel. But perhaps more significantly, in a time when the Anglican church in Canada is shrinking, and what is left of it is often bitterly divided over theological issues, she has also built a diverse, growing congregation. Germond is loath to take credit for the accomplishment, however, stressing that the parish has provided “amazing leadership” on many initiatives, from the local partnership with a nearby alternative school, a refugee sponsorship, an Out of the Cold program, and an international partnership with the diocese of Johannesburg (where her brother in law, Brian Germond, is a retired bishop). She says she plans on taking a similar approach to the diocese as a whole. She acknowledged, however, that it is a crucial time for Algoma. With the announcement earlier this year that 16 churches in the deanery of Muskoka alone would be closed in the near future, many in the diocese are concerned about the future. Germond says one of the things that gives her confidence is a memory that goes back to her early years in South Africa. Following the Soweto uprising in 1976, which saw thousands of students take to the streets in protest of restrictive apartheid-era laws governing education and language, the nuns at Rosebank opened their school to black students for the first time. André Forget joined the Anglican Journal in 2014 as staff writer and social media lead. 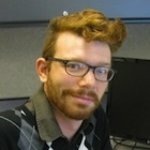 He also serves as managing editor of Whether Magazine, and his writing has appeared in The Dalhousie Review, The Winnipeg Review, and the Town Crier.